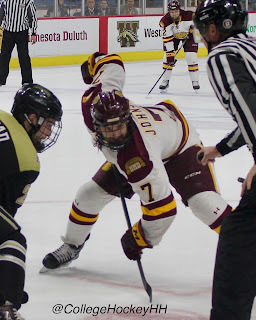 For the second time this year Miami make the trip to Duluth for a hockey series. For that matter, this is also the second year in a row the Redhawks have traveled to Duluth for the playoffs. With UMD looking to have gotten back on track last weekend after a big slip Friday, they are poised to continue a run towards Minneapolis and eventually the NCAAs. Picks. 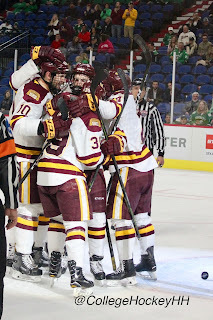 The regular season has ended and the now the NCHC playoffs are on us. Remember back in 2005? 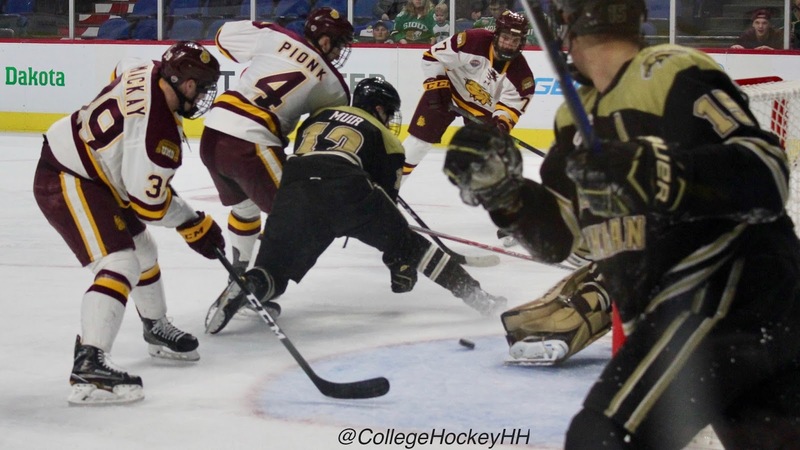 That was the pinnacle for the WCHA with four teams in the Frozen Four. 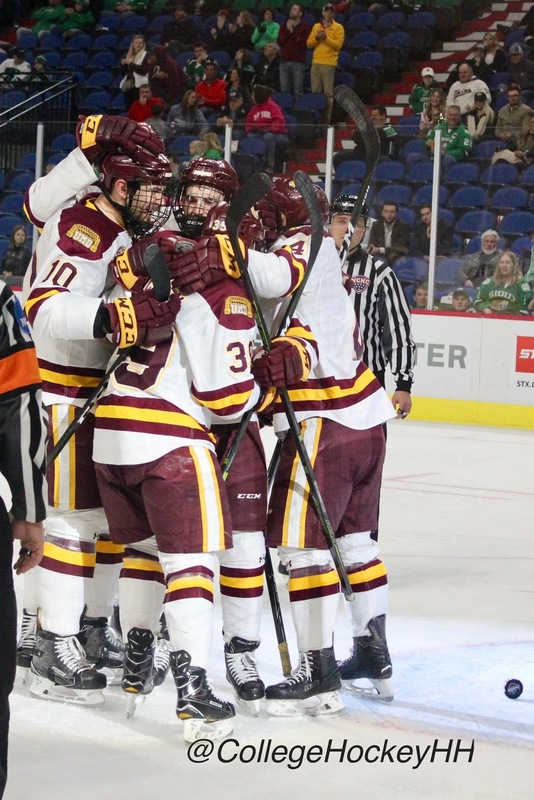 Yes, all four of the final teams in the NCAA Tournament, the Frozen Four, were from the same conference, the WCHA. What outrage was had by the college hockey community! But they were the best teams that year. 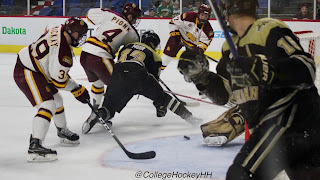 It is not the WCHA's fault the NCAA set the bracket up for an all WHCA Frozen Four. That was then, this is now. 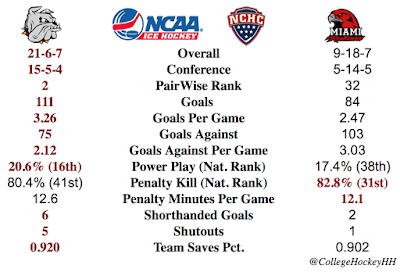 And now looks a lot like the dregs of college hockey landscape. 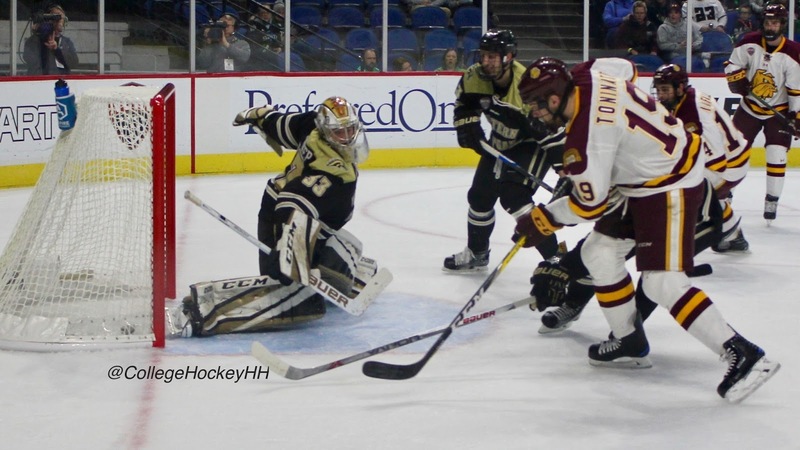 For the first time in.... well, as long as the Internet has been around and then some, the WCHA will send one, and only one, team to the NCAA Tournament. The winner of the league tournament will get the auto bid as league leader in the standings and PWR is Bemidji State at #24. Wow. Additionally, the product isn't drawing the crowds the Final Five once used to. 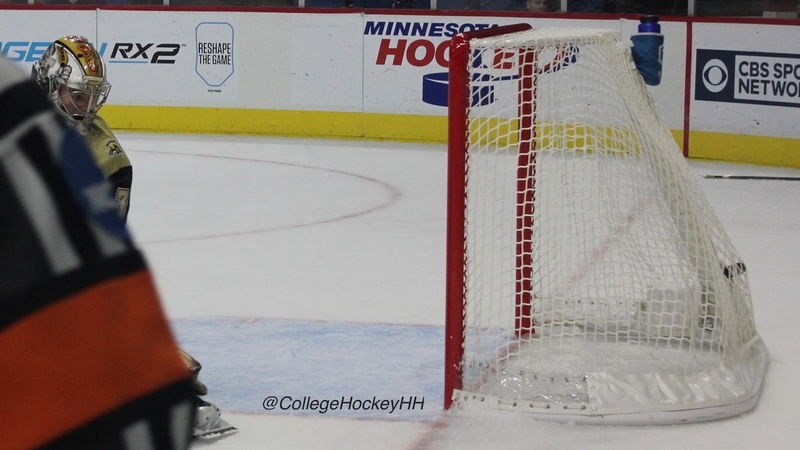 In the "old days," The WCHA Final Five had the event of the year for many college hockey fans. It was at a consistent venue unlike the NCAA's and people made it a priority to make each and every year no mater the teams. Why? The hockey was GREAT. 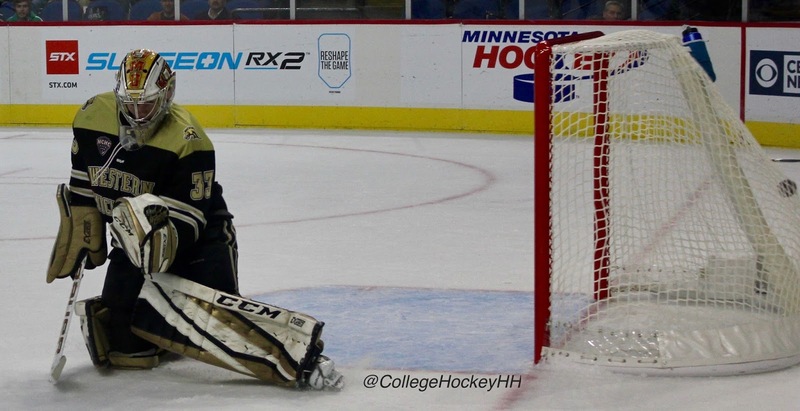 This year for the first time, again in the near past like above, the WCHA Tournament will be at the highest remaining seed. Home games for the top team. This is the WCHA, right? Blame the Bi6 Ten? NCHC? 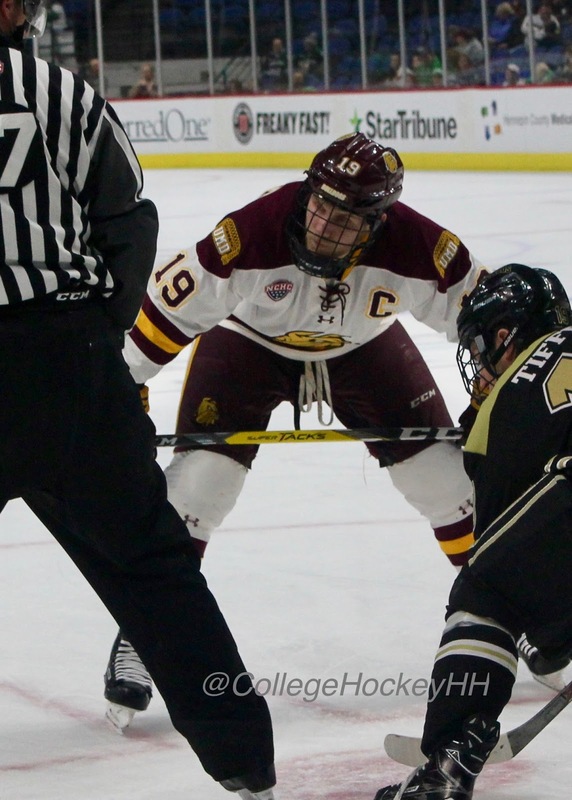 Maybe, but it is a change that is the new reality in college hockey. WCHA First Round Picks. All series are best of three games. #8 Northern Michigan at #1 Bemidji State One has to think that this whole thing is going to go through Bemidji on the way to the NCAA Tournament. And BSU is a good team that has great defense, they just need to score. Why does BSU have a #24 PWR? 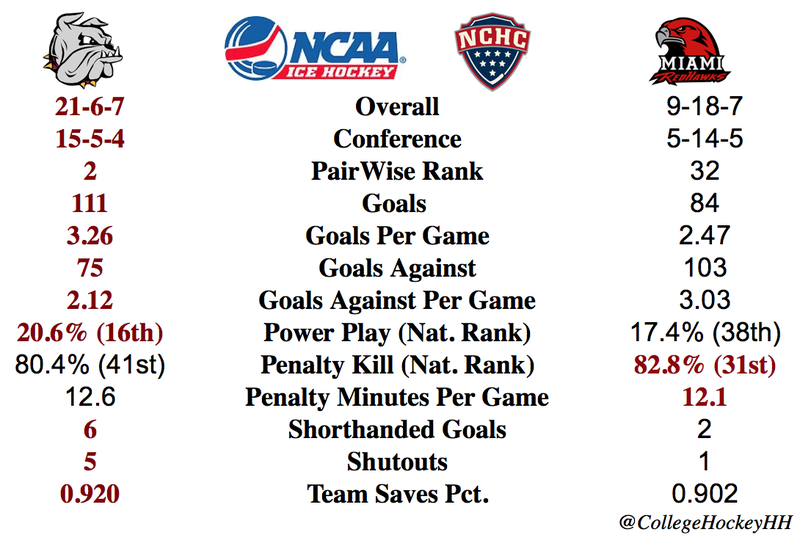 it may be their competition, but mainly their 0-7-1 non-conference record. BSU sweeps and moves on. #5 Ferris State at #4 Bowling Green Five seasons ago FSU was the runner up in the National Championship, and here they are now on the road in the current WCHA. Can FSU bring it? No, but it will take three games. BGU in three. 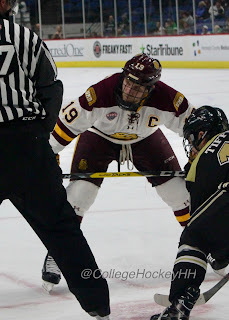 #6 Alaska at #3 Minnesota State Supposedly overheard in the WCHA war room, "Why can't both Alaska teams not be in the top eight?" But here they come, the Nanooks take to Mankato for their three game series where they will bow out to MSUM, but not without three games. #7 Lake Superior State at #2 Michigan Tech Battle on the Big Lake! It could have been MTU and NMU, but LSSU is pretty good match-up. Tech will be up to the task and will sweep.